BirdLife Malta has successfully reared two Yelkouan Shearwater (Garnija) chicks that were found astray from their nests. Earlier this week the oldest one was released in a nest box in a secure location at one of the Yelkouan Shearwater colonies at Irdum tal-Madonna. Both Yelkouan Shearwaters had been rescued by boatmen in two separate occasions at Blue Grotto, Żurrieq. 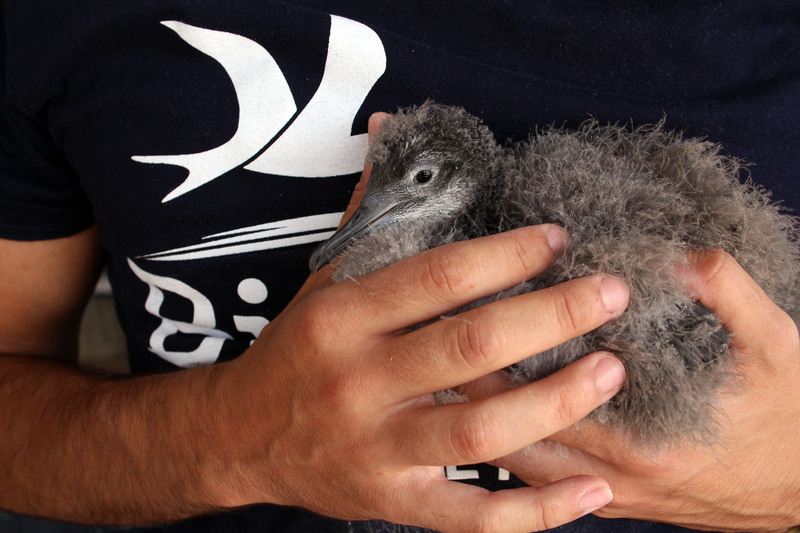 The first rescued shearwater chick, nicknamed ‘Baħar’, was only a few days old and weighing just 32g when it was collected. Baħar has since been under constant care, growing stronger and heavier every day. In recent days, it has started to shed its grey fluff, characteristic of shearwater chicks, growing feathers typical of adult birds. The second chick, named ‘Carmel’, was older and stronger than Baħar when it was retrieved. It was named after boatman Carmel Caruana, who recovered the bird at sea. 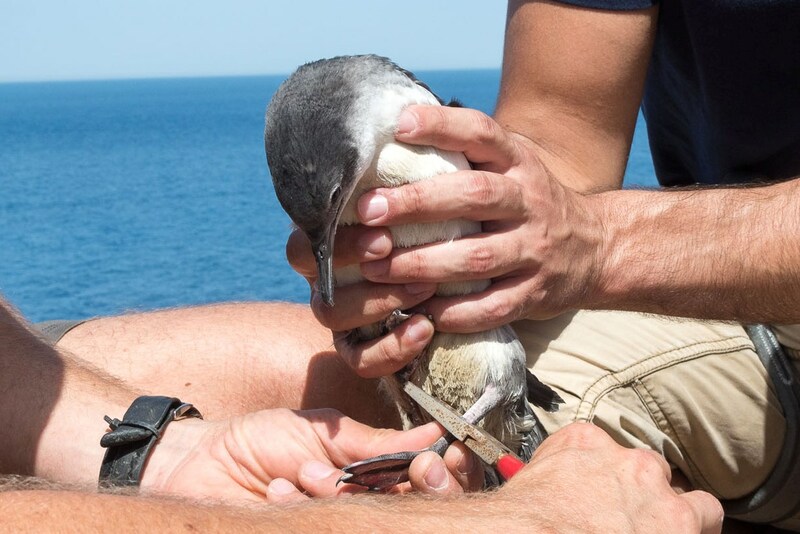 Both birds are the first candidates of a translocation experiment on Yelkouan Shearwaters, where an attempt is being made to rehabilitate these birds into a wild population after being hand-raised according to the best research available. Carmel, the older bird, now weighs 390g and like Baħar is now also showing its adult plumage, although some of the fluffy down is still present. 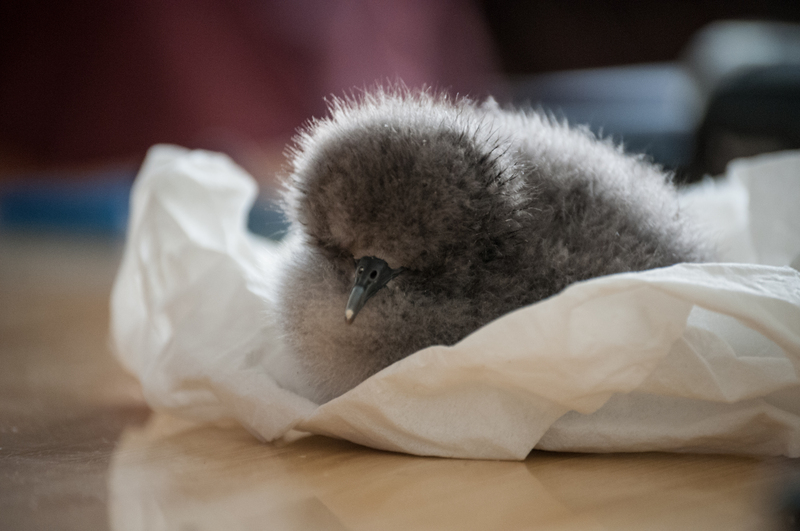 “Carmel had reached the fledging weight and has now been put in a nest box, designed specifically for Yelkouan Shearwaters and placed at Irdum tal-Madonna colony site. 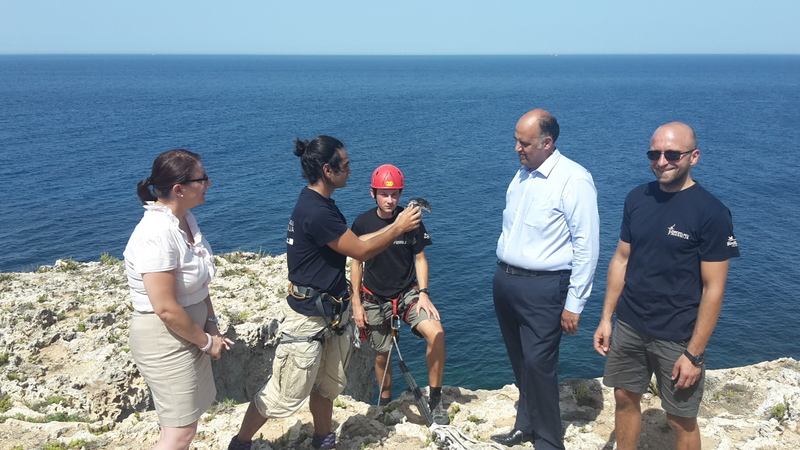 The bird will now spend some time there in order to imprint on the area and become a fully-functional member of the population,” explained Nick Piludu, BirdLife Malta conservation coordinator. “This is an imitation of the natural chick rearing process, when parents leave their well-fed chicks in the nest until after a few days they are forced to leave to search for food on their own,” he added. The chicks are being released at a time of year when naturally Yelkouan Shearwater adults abandon their young at the cliffs, to fend for themselves and become independent. 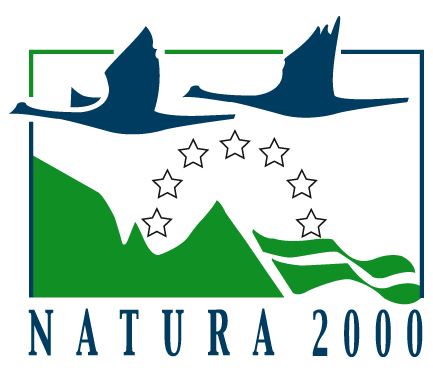 The release site chosen is a Natura 2000 site, which holds the largest Yelkouan Shearwater colony in Malta. HSBC Bank Malta’s Corporate Sustainability Managers Astrid Micallef Saliba and Glenn Bugeja were present on the occasion of releasing the first hand-reared Yelkouan Shearwater chick back in the wild. Thanks to funding from HSBC Malta Foundation, a rat control programme has been in place at the Natura 2000 site for several years, resulting in elimination of rat predation on shearwater eggs and young chicks at this colony. Accordingly, both Baħar and Carmel have a secure site where they can train their wings and gain strength before leading an independent life at sea. “HSBC Malta Foundation’s ongoing support to BirdLife Malta enables the NGO to continue providing a safe haven for Yelkouan Shearwaters at Irdum tal-Madonna. Our aim through this partnership is not just financial support for BirdLife Malta but also raising the public profile of Yelkouan Shearwaters and their protection,” said Astrid Micallef Saliba. The Yelkouan Shearwater is the most threatened seabird species found in Malta. Yelkouan Shearwater pairs are only able to raise a single young bird per year, a very low and susceptible reproductive rate for a bird that faces many perils at its nesting sites and out at sea. Yelkouan Shearwater numbers are dwindling within the Mediterranean, and are recognised as a ‘Vulnerable’ species on the International Union for Conservation of Nature (IUCN)’s Red List of Threatened Species. 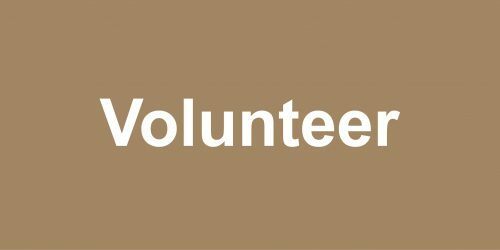 The species has been the focus of conservation and research efforts by BirdLife Malta over the past ten years, starting from the LIFE Yelkouan Shearwater Project which secured the nesting colony of the Irdum tal-Madonna Cliffs at l-Aħrax tal-Mellieħa to the recently launched LIFE Arċipelagu Garnija Project which is specifically focusing on Yelkouan Shearwaters and tackling human-caused threats at their main breeding colonies. To increase their breeding success, around 300 nest boxes are planned to be set up, including those for Baħar and Carmel. 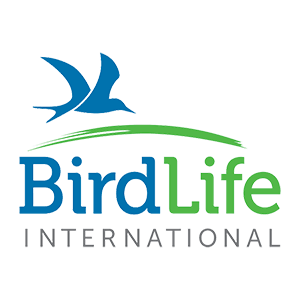 Earlier this week BirdLife Malta closed the LIFE+ Malta Seabird Project, a project further to which the Maltese government has declared eight new marine protected areas for seabirds, including four specifically for the Yelkouan Shearwater. 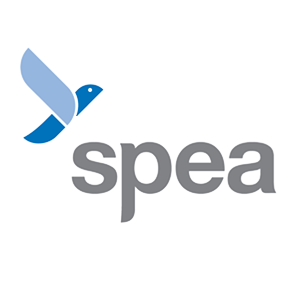 The newly designated marine Special Protection Areas (SPAs) were formally announced on Tuesday. 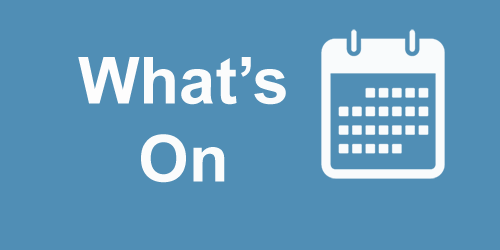 BirdLife Malta appeals to the public to look out for young shearwaters, including the closely related Scopoli’s Shearwater at the time they leave their nests from June till October. Due to coastal light pollution in Malta, young birds leaving nests for the first time may become stranded on land, as they mistake the artificial light for the horizon during night time. 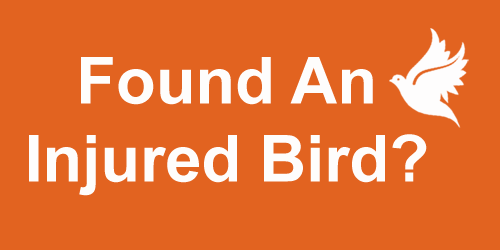 In case of finding a stranded seabird, one should contact BirdLife Malta immediately.